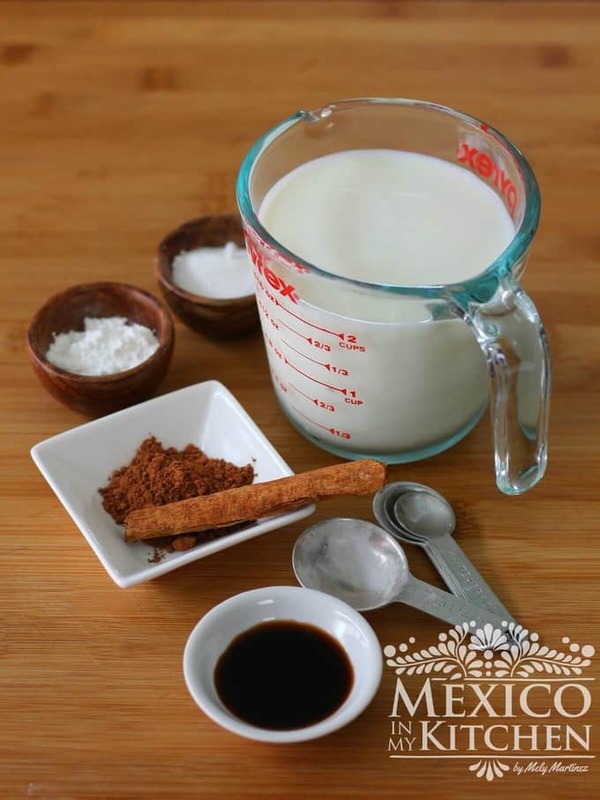 “Lechitas Frías”, as these drinks are often known in the Mexican State of Tabasco (in the southeast of the country), are a delicious and refreshing combination of milk with vanilla and cinnamon. It is a milk-based drink that is very popular and is sold in houses or in eateries (called “cenadurías” in Mexico). It’s a perfect “merienda” snack option for kids! 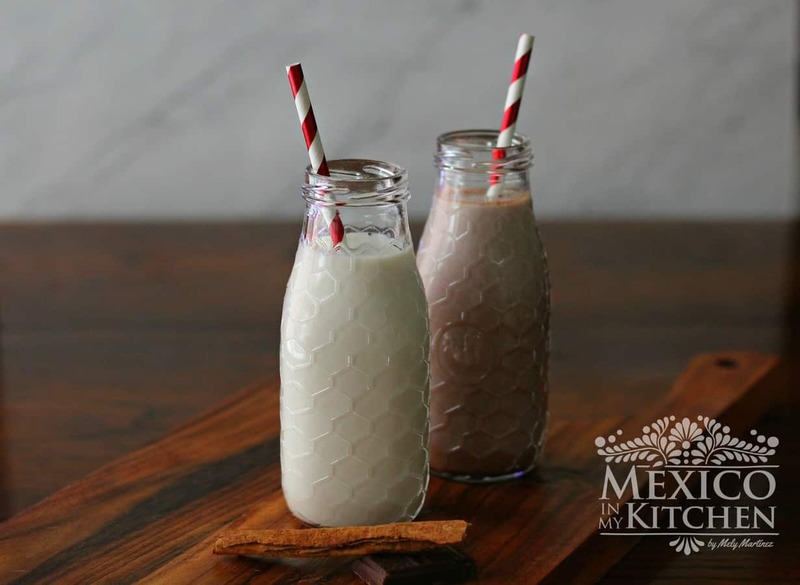 “Lechitas Frías”, as these drinks are often known in the Mexican State of Tabasco (in the southeast of the country), are a delicious and refreshing combination of milk with vanilla and cinnamon. It is a milk-based drink that is very popular, and is sold in houses or in eateries (called “cenadurías” in Mexico). It’s a perfect “merienda” snack option for kids! These flavored milks that are sold in Tabascan, homes are usually prepared by housewives, who put up signs in front of the house indicating that they sell flavored milks. These drinks are frequently sold in small plastic bags, and the majority of the customers that buy these drinks are children that pass by when they get out from school. They’ll stop by to purchase them so they can enjoy a snack before their main meal, as well as to mitigate the exhausting midday heat. In Tabasco, the heat can easily top 100º Fahrenheit and 100% humidity during the summer months. This vanilla and cinnamon-flavored milk drink is also sold in small eateries (cenadurías), where it is enjoyed by patrons that like drinking it along with the delicious local antojitos like Tacos de Chochinita, Enchiladas, or Tamales. 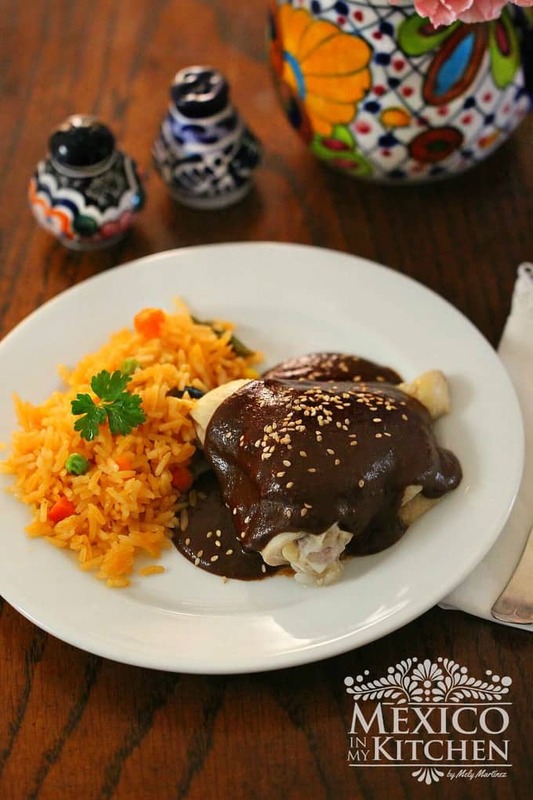 It’s very common to see people enjoying their dinner with a glass or bottle of these Lechitas Frías. 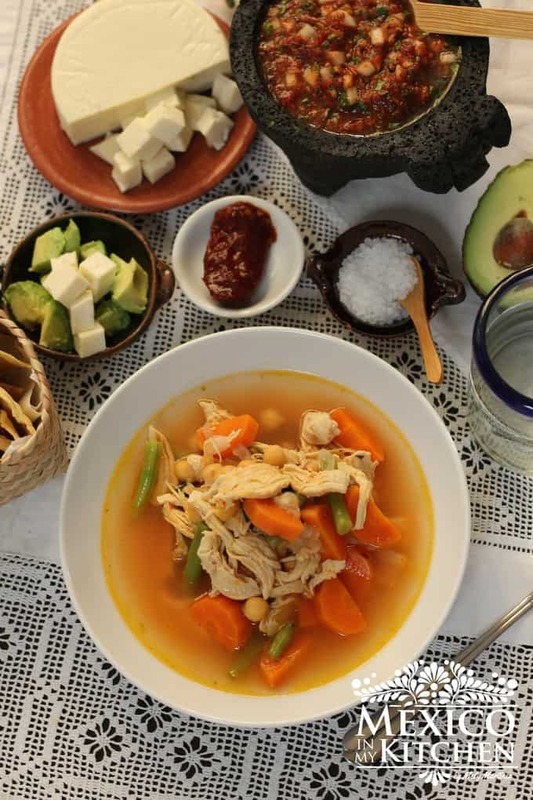 I lived in Tabasco for 6 years, and even today I still like making these Lechitas Frias at home and serving them ice-cold; even my grown-up son likes them! It is a different way of enjoying a cold glass of milk. It’s sad to realize that nowadays 1 in 2 children over 9, are missing out on the important nutrients that they need to grow, including calcium, potassium, and vitamin D (and more than half of children under 9 are missing out on potassium and vitamin D). As a Latina mother, I wonder if the children in my family are among them. 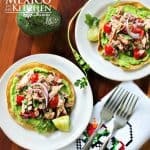 I know that as mothers we are always thinking about how we can give our kids better meals and balance their diets, and we’re always looking for quality products, but sometimes without knowing it we can leave some details overlooked, and our kids end up missing out on the nutrients they need. Something as simple as giving them a glass of cold milk with each meal (like our moms and grandmothers used to do) can help our children get those necessary nutrients. Milk is the primary food source of calcium, vitamin D, and potassium, but the reality is that kids these days are not drinking enough. In fact, most kids no longer consume the daily-recommended servings of milk, according to the CDC and other health organizations. Milk is a simple and delicious way to help your kids get natural protein and nutrients that they need to grow up strong. And it’s something that they love! Giving them a glass of milk will be something that you won’t have to struggle to do. Here are some other ways my family and I use more milk in our daily lives: Banana Milk Smoothie, Milk Pie, White Atole with Milk, Champurrado, Mexican Hot Chocolate, Pastel de Tres Leches, and Mexican Rice Pudding. And of course, I also like it with my afternoon coffee! So, pour more milk in those glasses, get creative, and add other flavors to enjoy it! Also, for all you chocolate lovers, I’m including the ingredients and instructions for making chocolate-flavored Lechitas. Vanilla Milk & Chocolate Milk. Enjoy! Once the milk starts boiling, reduce the heat to low. Gently simmer the milk for 10 minutes so that it can be infused with the cinnamon flavor. While the milk is simmering, mix the tablespoon of cornstarch and the remaining cup of milk in a bowl. Mix well, making sure that there are no lumps in the milk. Pour the milk-cornstarch mixture and the vanilla extract into the simmering milk. Turn the heat to medium-high and simmer for 6-8 more minutes. Allow the Flavored milk to come to room temperature, and then pour it into small bottles to be refrigerated. This drink tastes better when served cold! – To make the chocolate flavored milk, mix the cocoa powder along with the milk and cornstarch in step 3. I hope you enjoy this recipe for Flavored Milk as much as we do at home. Flavored milk, a quick and easy recipe to make Vanilla-Cinnamon Flavored Milk & Chocolate Milk. Kids love it! Add it to your coffee too! Place the sugar and three cups of milk in a medium-size saucepan with the cinnamon stick. Turn the heat to medium-high and bring to a boil. - To make the chocolate flavored milk, mix the cocoa powder along with the milk and cornstarch in step 3. Maybe you will also like the Agua de Horchata Recipe. How do you like to drink your milk? PS. Add this flavored milk to your cup of coffee, it’s delicious! Hello Janet, It’s our favorite at home.